Confession: Although we know about the damage that heating tools can cause our tresses, we spend quite a bit (okay, too much) time applying heat to our hair. In hopes of reducing breakage while still achieving silky smooth locks, we set out on a search to find the best flatirons for minimal hair damage. 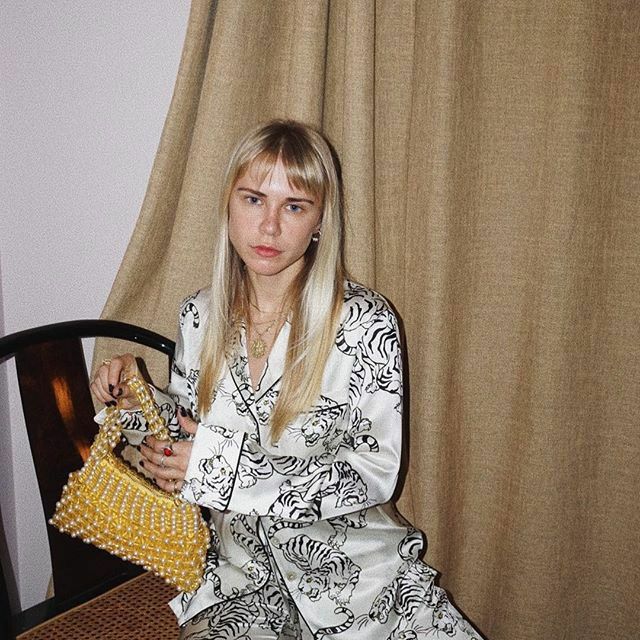 We know foregoing hot tools a couple days a week will help our dehydrated strands, but we just can’t see ourselves giving up the frizz-taming, hair-smoothing magic that is the straightener. Instead of throwing away our beloved flatirons, we did the second-best thing and reached out to Honey Artists hairstylist Corey Tuttle for his expert advice on purchasing a flatiron that won’t completely fry our ends. 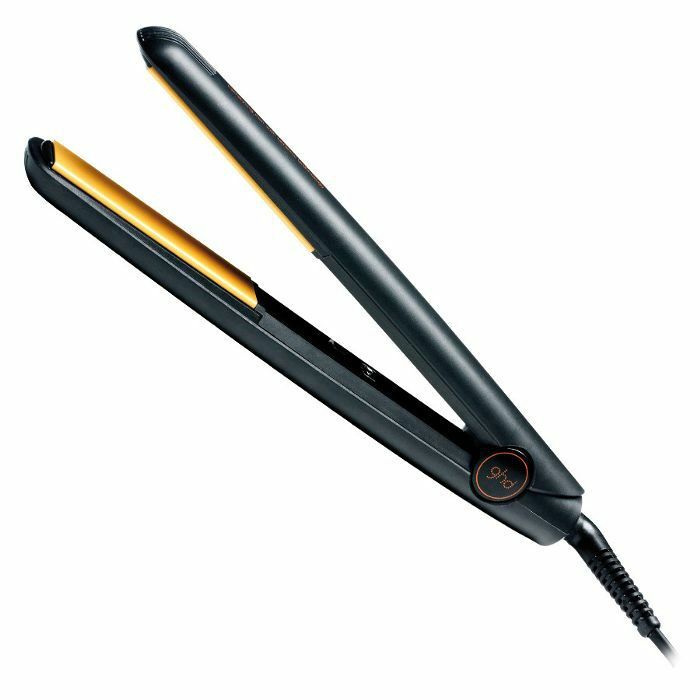 To which Tuttle suggested looking for an iron that “has temperature settings so you can start low and work your way up if necessary.” Here, we’ve compiled the best straighteners for minimal hair damage. Keep reading for Tuttle’s recommendations as well as our personal favorites. If you have curly locks or hard-to-straighten tresses, Tuttle recommends the Ghd flat iron as "it heats up in 15 seconds and keeps the hair from frizzing." 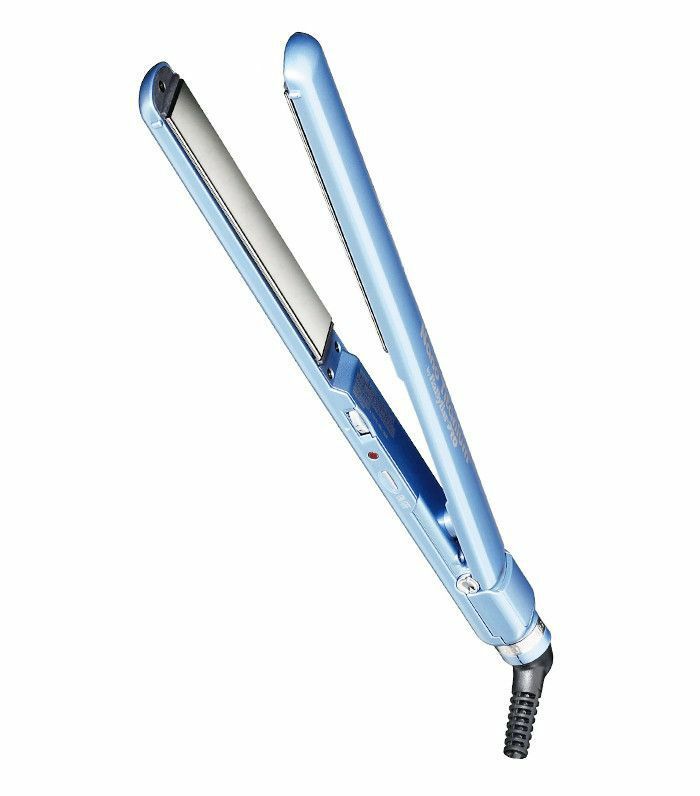 While this doesn't have an adjustable heat setting, it is set to 365 degrees, which, according to Ghd, is the "optimum" temperature to straighten locks without doing any damage. 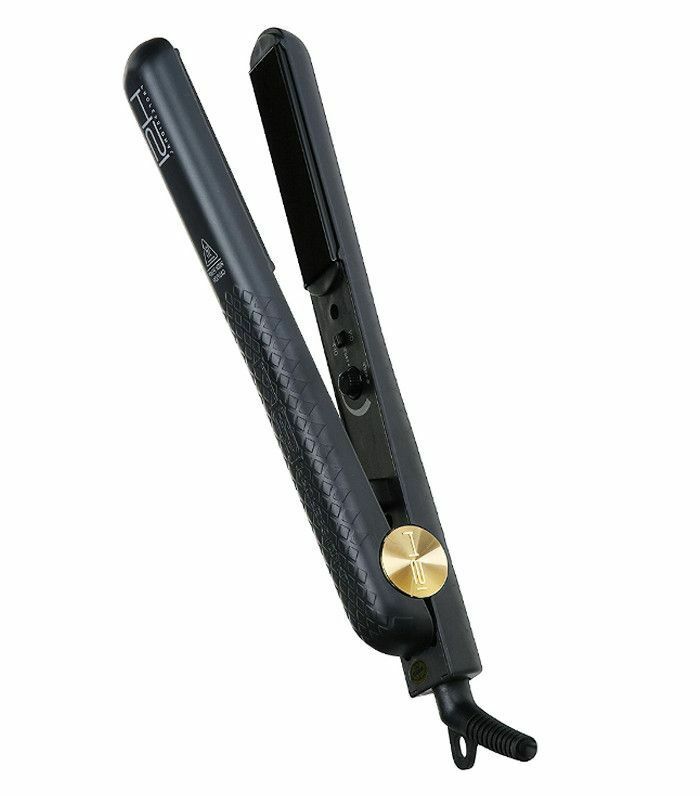 The overall consensus on Amazon reviews is that this is a great straightener for any and all hair types, as the one-inch ceramic tourmaline plates protect strands while the adjustable heat setting from 240 to 400 degrees gets hot enough to smooth even the frizziest of tresses. Leave it to model-favorite hairstylist Harry Josh to create the best straightening flatiron that also makes beautiful waves, thanks to its non-catching curved edges. 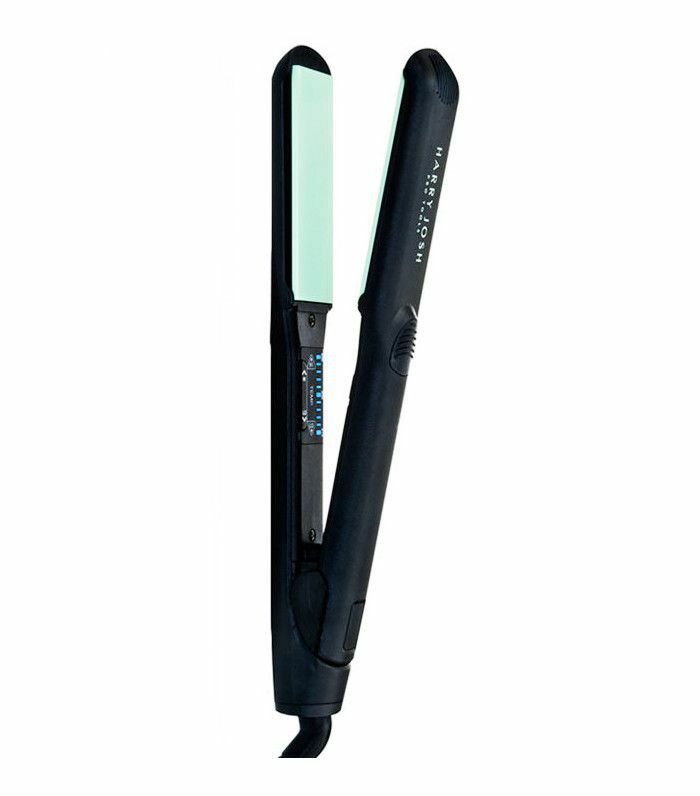 Made from nano-ceramic and tourmaline-plated materials, this flatiron evenly distributes heat so as not to damage even the finest of strands. If you want the absolute best straightener, Tuttle says look no further than his favorite Croc flat iron, which offers four heat settings and a ceramic heater to prevent "hair damage and dryness." 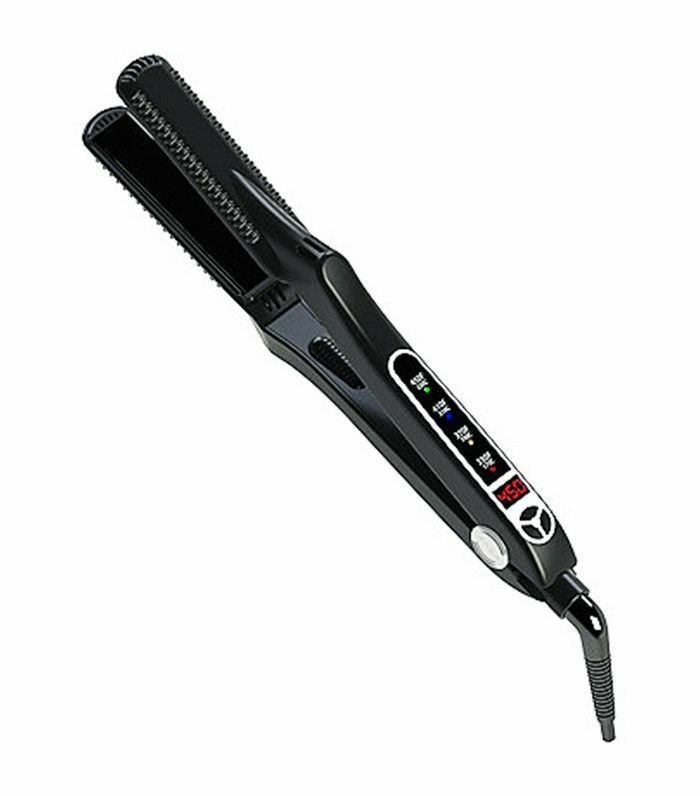 If you have thick curly hair, this titanium plate BaBylissPRO iron, which has 50 different heat settings and gets as hot as 450 degrees, is sure to straighten out your curly locks and reduce frizz, or so says Ulta reviewer Kat who wrote "my straightened hair looks shiny and healthy without damage." Use hot tools on the regular? Check out these drugstore thermal protectants that will drastically reduce damage caused by over-styling.